Happy New Year to all our readers and a big thank you to Celia at Fig Jam and Lime Cordial for another year of IMK fun. In My Kitchen this January …. These stunning flowers from my wonderful husband. 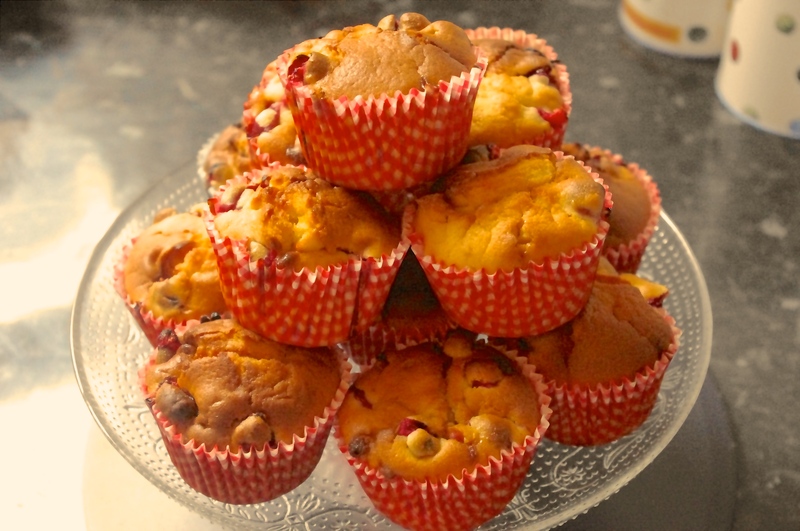 More of my mouth-watering Cranberry and White Chocolate Chip Muffins. Here is the link for the recipe. 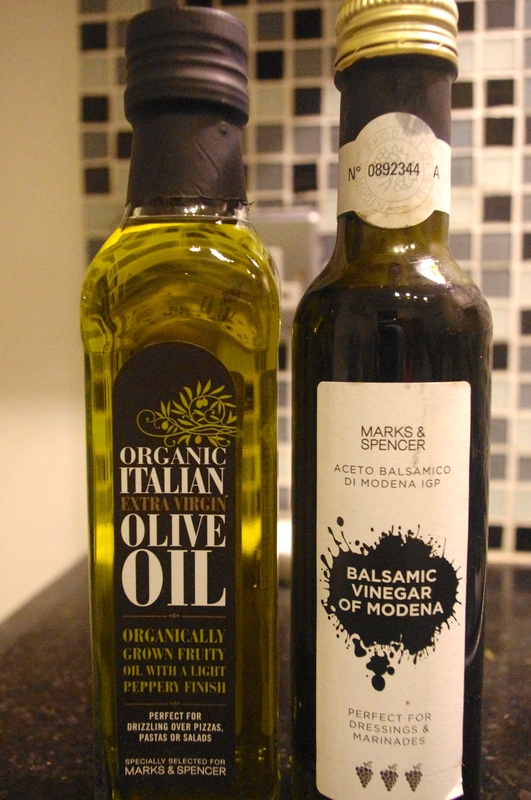 A Marks and Spencer olive oil and balsamic vinegar set I got as a Christmas gift. 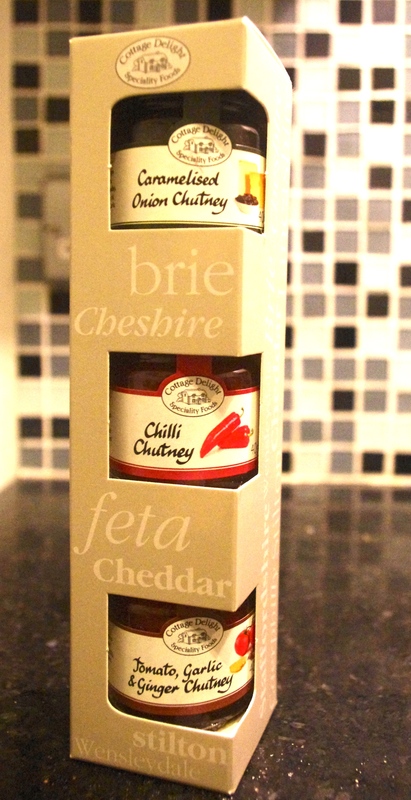 A selection of chutney’s to go with cheese that was also given to me as a Christmas present. 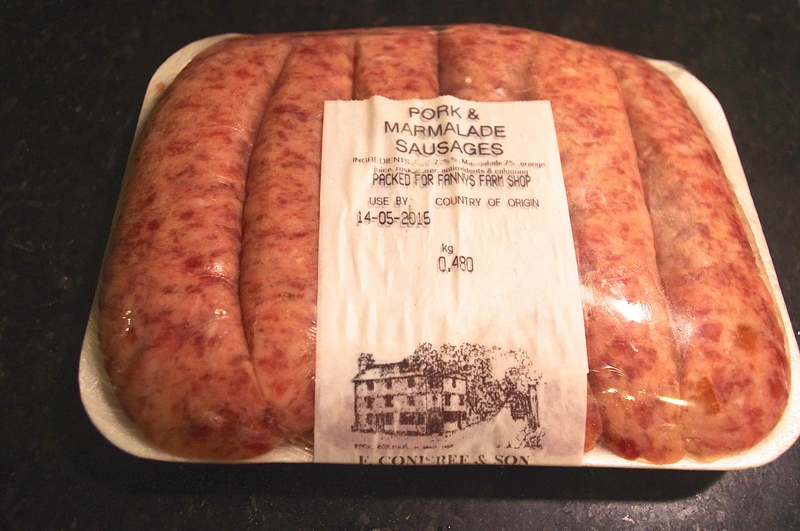 My favourite pork and marmalade sausages from a wonderful shop in Merstham called Fanny’s Farm Shop. The Flavour Thesaurus by Niki Segnet, recommended to me by a chef I know. The Flavour Thesaurus is a must have reference book for food writers and chefs. 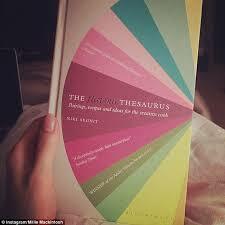 It follows the form of Roget’s Thesaurus and is the first book to examine which flavours go together pair by pair. Winner of numerous awards it covers classic pairings such as pork & apple, lamb & apricot and contemporary favourites such as chocolate and chilli or lobster and vanilla, as well as interesting but unlikely sounding couples such as black pudding and chocolate and blueberry and mushroom. 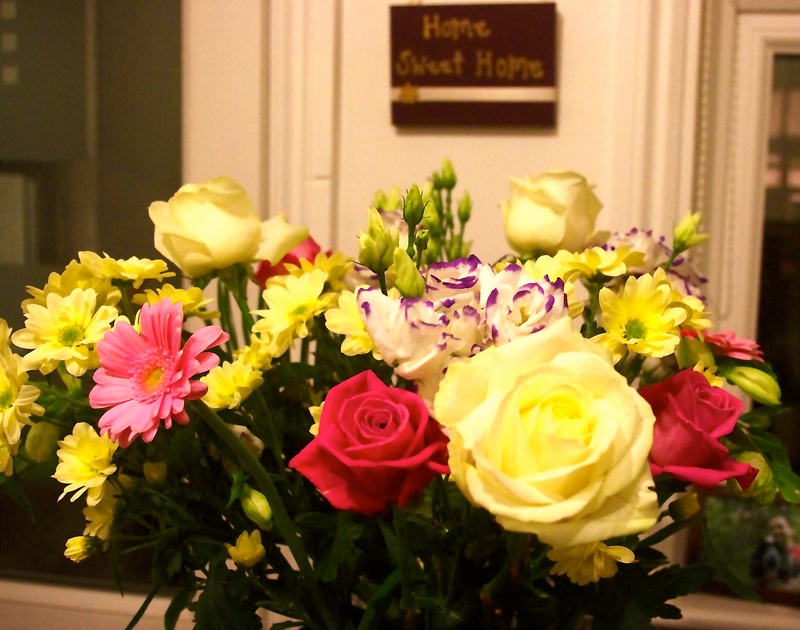 Looks wonderful, beautiful flowers. I will have to look into that book, sounds fun and useful. Lovely food gifts you received for Christmas, seems to be a theme with most folks in their IMK post this month! Happy New Year! Happy New Year Emma! Looks like you have had a proper foodie Christmas! I downloaded the Flavour Thesaurus onto my Kindle some time ago but the problem with Kindles is – out of sight, out of mind! What I read, I really enjoyed as the author has a great writing style – I must look at it again now that you have reminded me! The Flavour Thesaurus is a fantastic resource, especially for writing about food. Happy New Year and take care of yourself. Emma. Happy New Year. Thanks for reading. Emma. great to get new foodie books for xmas. i got a few! happy 2015! Happy 2015 to you too. I’m glad you enjoyed the post. The Flavour Thesaurus was a global best seller. Definitely worth a read! Emma. Happy New Year! I’m really intrigued by the sausages! And that book – so interesting!!! Thank you for the ‘likes’ on my SuchFriends posts!